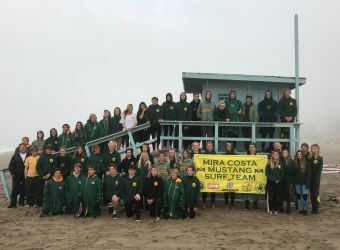 The Mira Costa Surf Team is the South Bay’s finest high school surf program, consistently dominating the Bay League. 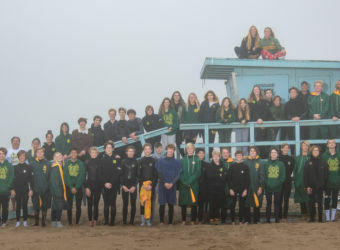 The team consists of approximately forty-five dedicated student athletes who train year round. 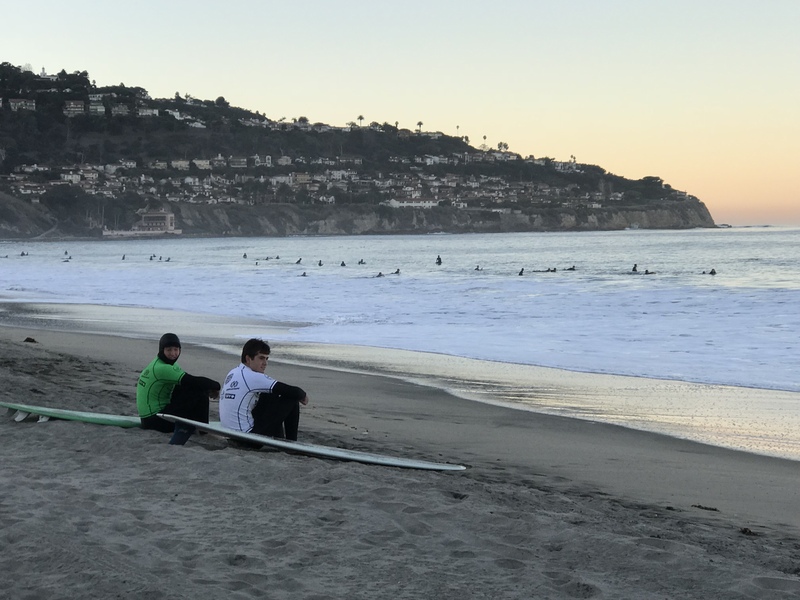 The official surf season runs from September through March, but during the school year, the team surfs every Monday through Thursday at 6:30 am at 26th Street in Manhattan Beach, and twice a week have after school strength and agility training. 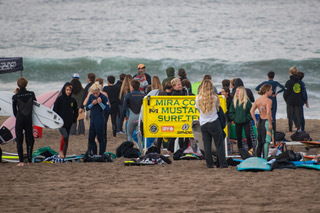 Most competitions are held weekdays between 6:30 and 8:30 am at beaches from Torrance to El Porto. 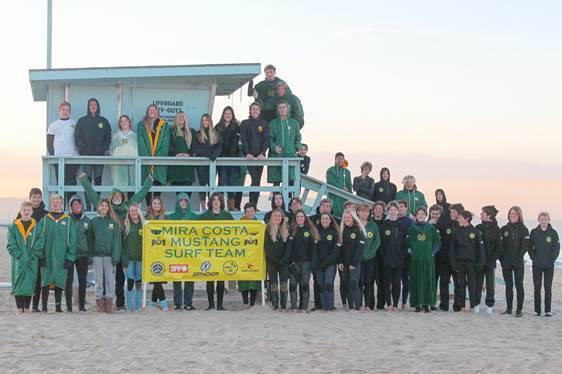 The team is coed. Girls and boys compete in separate divisions but practice together. 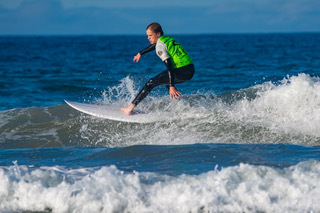 Divisions include Shortboard and Longboard and tryouts are held prior to the season starting in October. 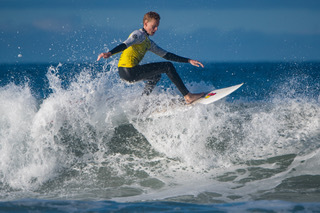 The team is highly competitive and participates in the National Championships each year in June. 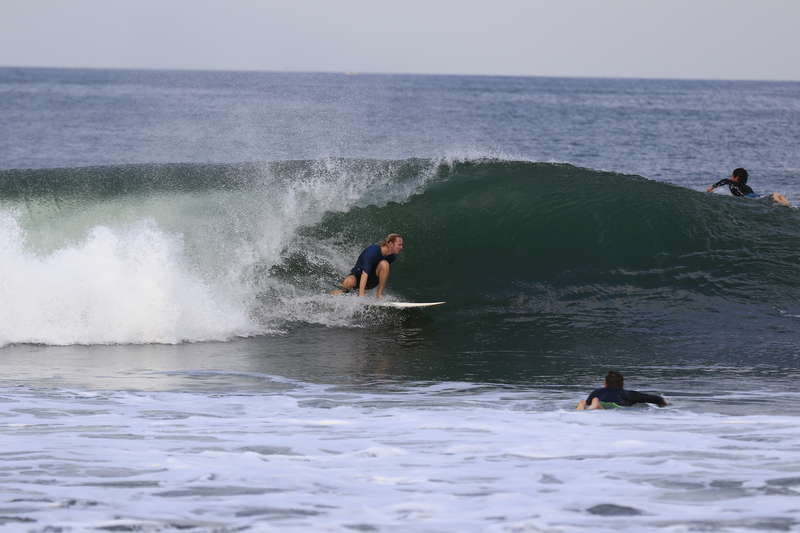 Costa Surf works hard with challenging winter conditions! 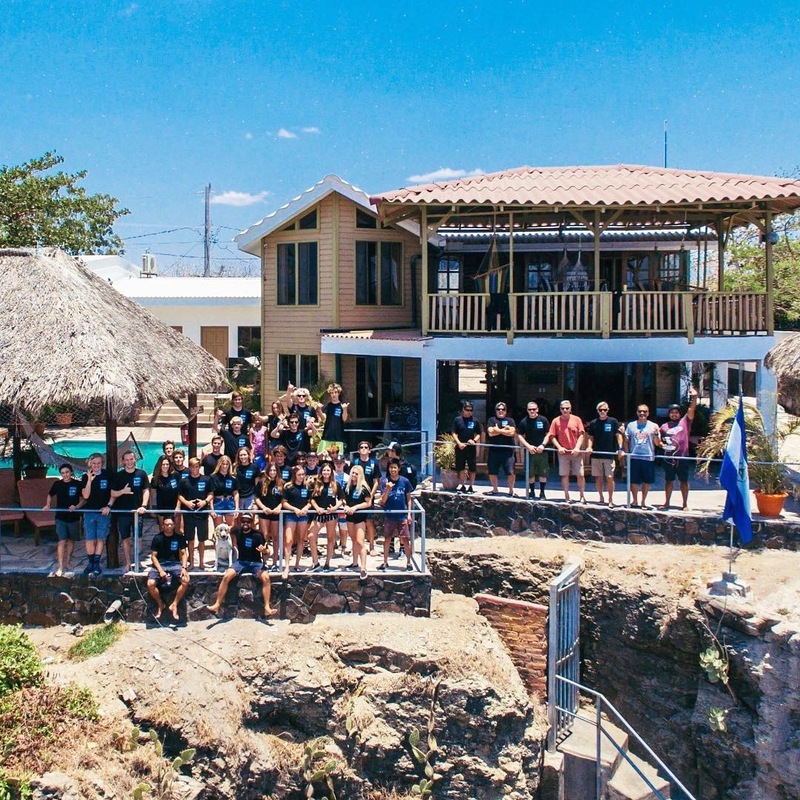 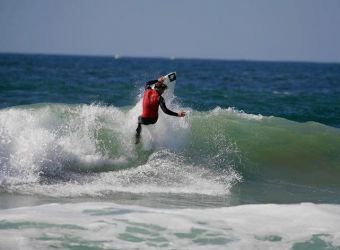 Costa Surf team dominates early in the season! 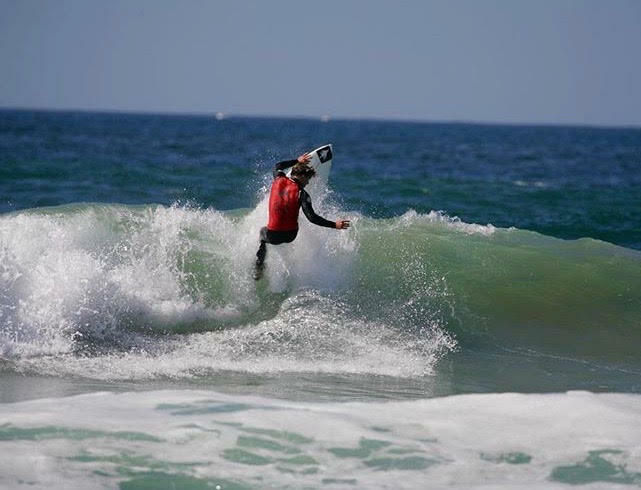 Surf Team is a cut sport. Surf Team tryouts are held in the spring starting with current Mira Costa students, then incoming 8th graders. 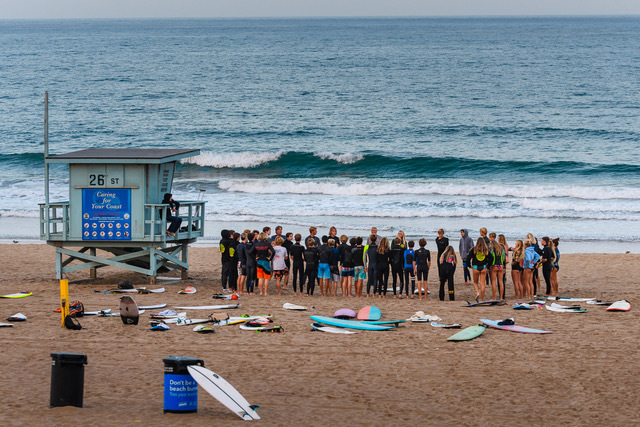 Tryouts, which consist of competitive surfing heats, are held before school in May at 26th Street in Manhattan Beach. 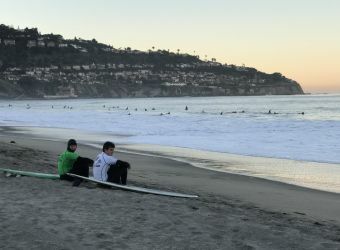 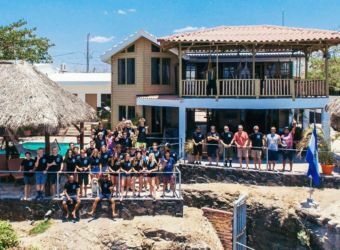 The Surf Team meets Every Day and goes all year long. 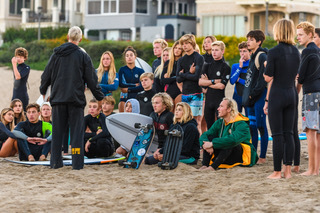 Team members are also expected to work out with a fitness trainer as a team 2 days a week after school. 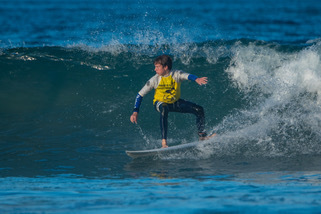 Surf League contests begin in the first part of October and go through March. 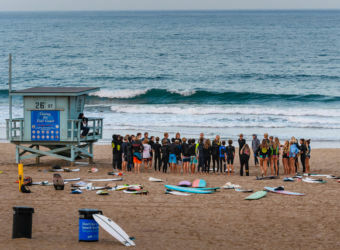 League contests are held before school and are a head to head format from 6:30 to 8:30 a.m. at beaches from Torrance to El Porto. 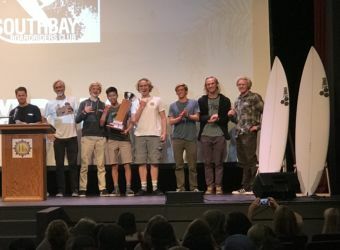 There are three Saturday contests; Kick-Off Classic, the game format and League All Stars at the beginning, middle and end of the season. 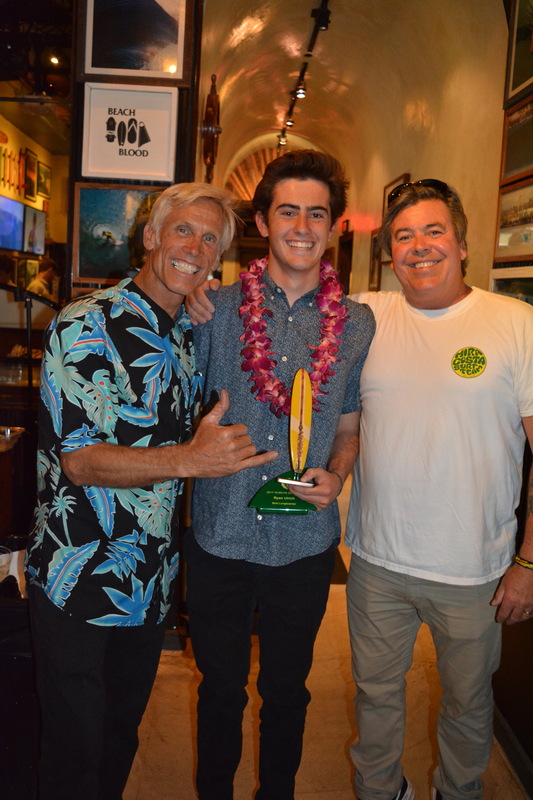 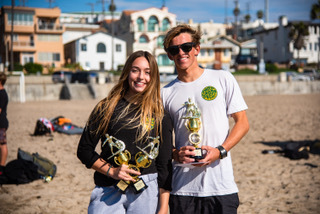 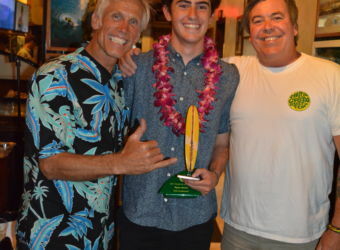 Selected top surfers will compete in NSSA State and National Championships in March and June.